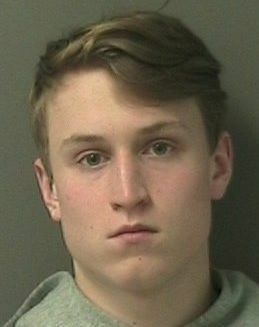 QUEENSBURY — A Queensbury teen who was put on probation for heavily vandalizing his parents' home has been sentenced to up to 3 years in state prison. Carter J. Backus, 18, pleaded guilty in 2017 for a felony criminal mischief arrest at his home in December 2016. He was sentenced to 5 years on probation in connection with more than $1,500 in damage. He violated probation by getting re-arrested, then failed to appear for court proceedings after the probation violation charge was filed. Warren County Judge John Hall imposed a 1- to 3-year state prison term.